If you're in the market for a cleanup crew, you might search the Internet for vendors of Nassarius snails. Many of the results will be vendors of the carrion-feeding snail Nassarius vibex, but you'll also find vendors selling a much cheaper "Nassarius" snail called Nassarius, Ilyanassa or Ilyanassarius obsoleta. Nearly every vendor advertises these snails to be similar in behavior to Nassarius vibex, and claims that they eat algae. Wow; they're cheaper, and more helpful? What a deal! Surely there's a catch, right? You bet - several. So first of all, what is with all the confusion about the species name? When it was originally described in 1822, Thomas Say named the snail Nassa obsoleta (Rosenberg 2005). Since that time, it has gone by many different names, including Nassarius obsoletus. 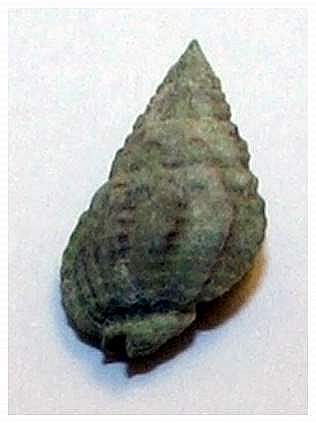 Though the name Ilyanassa obsoleta (hereinafter Ilyanassa) had been applied to this snail for decades, Nassarius obsoletus seemed to be the favorite in the literature until the mid 1970's. At that time, the general opinion seemed to shift towards putting this snail in the genus Ilyanassa to reflect its differences from other species of Nassarius (Zool. Rec. 1958-2006). Figure 1. Ilyanassa obsoleta. Note the round, relatively smooth shell with little sculpting, often with the outer layer worn away near the tip. Figure 2. Nassarius vibex. Note the heavy sculpting, flaring lip near the opening of the shell, and usually sharp, unworn tip. The fact that they are still being sold as Nassarius obsoleta so long after the change should immediately tell you one of two things about the vendors (usually the collectors themselves) labeling them as such, either: 1) they're intentionally misrepresenting their product as something more desirable to consumers, or 2) their source of information about the animal isn't accurate or up-to-date. The second reason certainly seems harmless enough. Who cares if they got the name wrong? They've seen first hand how the animals behave; they shouldn't need sources to tell them about their feeding habits and behavior. It's not always that simple, though. Anyone who has been in the hobby long enough can tell you that initial observations can't always be trusted. For example, that fireworm eating your clam didn't kill it, and your cleaner wrasse isn't picking ich off your fish even though that's what it looks like. Similarly, a vendor doesn't see the full picture of these snails' behavior by just watching them for short periods of time. As you may notice, all of the cited sources regarding this snail's diet were published after Ilyanassa became the preferred name. That means that the snail's diet probably wasn't readily obvious by observation alone, and that a vendor using a source from the time when it was still widely called Nassarius obsoleta probably doesn't have very accurate information about its diet. I've collected a small number of these from the wild, and even after the few weeks that I observed them, I certainly couldn't have given a very accurate picture of what they were eating. At the time of this writing, an eBay search for Ilyanassa returned 25 hits for live snails; all with the word "reef" in the description. Most are offered in lots of 50-250 snails. But wait a minute - every single vendor listing is from North Carolina. How has North Carolina cornered the market on huge lots of super-cheap reef snails? It hasn't. Ilyanassa is not a reef snail, or even a tropical snail, at all. It is naturally found from Newfoundland down to northern Florida and has been introduced to the West Coast from British Columbia to Southern California, where it is causing huge problems (more on this later). As with most organisms, Ilyanassa is most abundant near the center of its range and less common and slower growing near the outer edges of its range, where the environment approaches the animal's maximum tolerances. The average water temperature in the area near one of the North Carolina eBay vendors is about 20.2° C (68.4° F) (Fautin). Since North Carolina is roughly in the middle of its range, it's probably a good assumption that the temperature there is close to the ideal for the species. 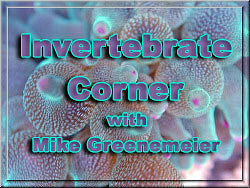 While that doesn't seem much of a departure from the average reef tank temperature, physiologically it's a huge jump. As a general rule, it takes only a 10° C change to double the rate of metabolic processes. Average reef tank temperatures are about 5-8° C higher than the average ocean temperature where this eBay vendor is located. To put it into perspective, the species' southern limit is only about 4° C warmer, on average, than the vendor's location (Fautin). The increased metabolic rate is a double-edged sword for the snails. Not only are their bodies stressed by being forced into overdrive, but the very enzymes they need to speed up metabolic reactions start to fail. Enzymes are simply proteins used to catalyze metabolic reactions. Proteins, structural or enzymatic, are designed to work at a specific temperature and pH. When the environment is outside those parameters, the enzymes start to catalyze their reactions less efficiently. Eventually, the proteins start to denature and become useless. Denaturing is just a fancy term for when chemical bonds within the proteins start to break and their molecular three-dimensional shape changes. Because a protein's function relies on its structure, as the structure changes, the protein will stop functioning normally. This is exactly what you do to the protein in an egg when you fry it. This denaturing happens to a small degree under normal situations, but increases exponentially even at slightly elevated temperatures and can overwhelm the animal's mechanisms for refolding the proteins.When enzymes are denatured in large amounts, the metabolic reactions they catalyze start to bog down. Obviously, this is physiologically stressful. Ilyanassa, and many other intertidal and upper-subtidal snails that are exposed to periods of elevated water temperature, aren't defenseless against heat stress, though. They have special proteins called "heat shock proteins" (HSPs) that go around refolding denatured proteins back into their working shape (Downs et al., 2001). Making and using HSPs, however, is very energetically expensive and is only a short-term solution. The long-term solution is to use different forms of enzymes optimized for different temperatures - something Ilyanassa can't do to the degree it needs to in order to successfully adapt. Because these snails are adapted to deal with elevated temperatures for daily, and even seasonal, periods the heat damage generally goes unnoticed by hobbyists. It can take a year or two for the damage to build to lethal levels, and at that point the aquarist often assumes that the snail's death was just due to old age. Considering that these snails can live for up to 40 years, that explanation is unlikely (Curtis et al., 2000). How "Reef Safe" Are They? So, if they aren't really reef snails, what about the claims that they are "totally reef safe," "eat detritus and most forms of algae" and "will not attack any of your population" (as seen on eBay listings)? Well, as you may have guessed, they aren't entirely accurate, either. Ilyanassa is an omnivore. A large part of Ilyanassa's diet is indeed made up of algae and algal detritus. However, it is selective, preferring certain types of diatoms rather than indiscriminately gobbling up any algae (Connor and Edgar, 1982; Connor et al., 1982). They also require meat in their diet to survive and reproduce (Curtis and Hurd, 1979; Hurd, 1985). This meat comes primarily from carrion and predation on sandbed fauna, including other snails (Race, 1982). Besides direct predation on sandbed life, Ilyanassa's foraging is so disruptive that in areas where they are found, amphipods, copepods and worms that would normally be present are absent (Dewitt and Levinton, 1985; Hunt et al., 1987; Kelaher et al., 2003). To me, this hardly sounds "totally reef safe," and is especially troubling if you utilize a sand bed as a filter or food source for mandarin dragonets (Synchiropus spp.) or similar fish. Ilyanassa is such an effective competitor that in areas where it has been introduced, such as San Francisco Bay, it has forced out native species and completely disrupted ecosystems. Tidal flats that once housed diverse assemblages of snails, worms and crustaceans are now monocultures of literally billions of Ilyanassa (Race, 1982). Outside of its natural range, this snail is considered an extremely damaging pest. Virtually nothing eats them in large enough numbers to reduce their population, and at this stage in the game, humans can do little to control them. 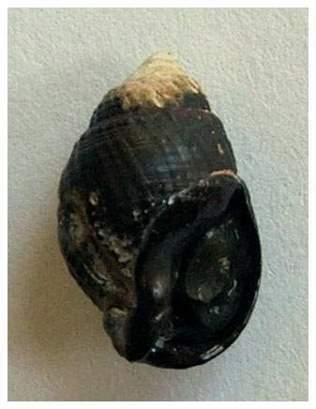 The threat of their accidental introduction into new areas makes the trend of shipping large numbers of these snails throughout the country even more troubling. While the other problems with keeping these snails in a reef tank concern the well-being of the snails themselves and the tank's other inhabitants, one threat could hit a little closer to home. Ilyanassa is an intermediate host for at least nine species of trematode fluke. In most populations, over 50% of the adult snails have at least one species of this parasite, and in some populations the rate of infection is as high as 94% (Curtis and Hubbard, 1990; Curtis, 1997)! While none of these flukes actually targets humans as hosts, they do sometimes mistakenly burrow into human skin and cause what is known as "swimmers' itch," or more properly, cercarial dermatitis (Sindermann, 1960). This condition creates an extremely itchy rash similar to poison ivy that can last for up to a week. Affected snails will continue to release the infective stage of these flukes into a tank for up to a decade (assuming the snails live that long), and any exposure to the tank's water puts the aquarist at risk of infection (Curtis et al., 2000). Interestingly enough, the flukes that infect Ilyanassa harm them not only by stealing nutrition and castrating the animals, they can also actually control the snails' behavior. Infected snails make more frequent trips to, and go higher into, the intertidal zone where they are more likely to encounter birds and crustaceans, which are the flukes' primary hosts (Curtis, 1993). Coincidentally, that's also where they are more likely to encounter livestock collectors. As a result of this behavioral modification, it's highly likely that collectors of these snails have an unintentional bias toward infected specimens. As with any claims that sound too good to be true, consumers should be skeptical of the claims being made about Ilyanassa as an ideal reef snail. Ilyanassa is not a reef snail at all. As a snail from cold and temperate water, keeping them at reef temperatures is sentencing them to a premature death. In addition, they aren't entirely reef safe, especially in tanks with sand beds. We're all aware that our hobby has a reputation for being wasteful of and destructive to marine life. It's time for hobbyists to start making informed and responsible decisions about the animals we keep. With several truly reef safe snails available in the hobby, it is in the hobbyists' and snails' best interest to spend a little extra for more appropriate species, such as this snail's cousin, Nassarius vibex. Connor, M. S., Teal, J. M. and I. Valiela. 1982. The effect of feeding by mud snails, Ilyanassa obsoleta (Say), on the structure and metabolism of a laboratory benthic algal community. Journal of Experimental Marine Biology and Ecology. 65(1): 29-45. ------------------ and R. K. Edgar. 1982. Selective grazing by the mud snail Ilyanassa obsoleta. Oecologia. 53(2): 271-275. Curtis, L. A. 1993. Parasite transmission in the intertidal zone: Vertical migrations, infective stages and snail trails. Journal of Experimental Marine Biology and Ecology. 173(2): 197-209. Curtis, L. A. 1997. 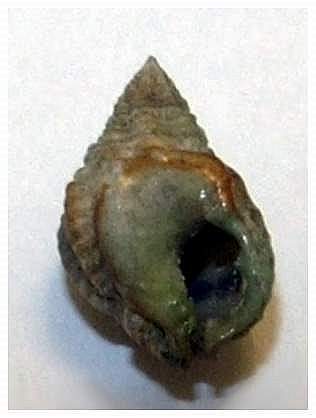 Ilyanassa obsoleta (Gastropoda) as a host for trematodes in Delaware estuaries. Journal of Parasitology. 83(5): 793-803. Curtis, L A. and L. E. Hurd. 1979. On the broad nutritional requirements of the mud snail, Ilyanassa (Nassarius) obsoleta (Say), and its polytrophic role in the food web. Journal of Experimental Marine Biology and Ecology. 41(3): 289-297. -------------- and K. M. Hubbard. 1990. Trematode infections in a gastropod host misrepresented by observing shed cercariae. Journal of Experimental Marine Biology and Ecology. 143(1): 131-137. --------------, Kinley, J. L. and N. L. Tanner. 2000. Longevity of oversized individuals: growth, parasitism and history in an estuarine snail population. Journal of the Marine Biological Association of the UK. 80: 811-820. DeWitt, T. H. and J. S. Levinton. 1985. Disturbance, emigration and refugia: How the mud snail, Ilyanassa obsoleta (Say), affects the habitat distribution of an epifaunal amphipod, Microdeutopus gryllotalpa (Costa). Journal of Experimental Marine Biology and Ecology. 92: 97-113. Downs, C. A., R. T. Dillon, Jr., J. E. Fauth and C. M. Woodley. 2001. A molecular biomarker system for assessing the health of gastropods (Ilyanassa obsoleta) exposed to natural and anthropogenic stressors. Journal of Experimental Marine Biology and Ecology. 259(2): 189-214. Fautin, D. G. and R. W. Buddemeier. 2006. Biogeoinformatics of the Hexacorals. Hunt, J. H., W. G. Ambrose, Jr. and C. H. Peterson. 1987. 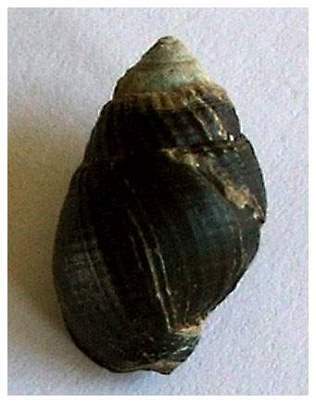 Effects of the gastropod, Ilyanassa obsoleta (Say), and the bivalve, Mercenaria mercenaria (L.), on larval settlement and juvenile recruitment of infauna. Journal of Experimental Marine Biology and Ecology. 108: 229-240. Hurd, L. E. 1985. On the importance of carrion to reproduction in an omnivorous estuarine neogastropod, Ilyanassa obsoleta (Say). Oecologia. 65(4): 513-515. Kelaher, B. P., J. S. Levinton and J. M. Hoch. 2003. Foraging by the mud snail, Ilyanassa obsoleta (Say), modulates spatial variation in benthic community structure. Journal of Experimental Marine Biology and Ecology. 292: 139-157. Race, M. S. 1982. Competitive displacement and predation between introduced and native mud snails. Oecologia. 54(3): 337-347. Rosenberg, G. 2005. Malacolog 4.0.2: A database of Western Atlantic marine Mollusca. Sindermann, C. J. Oct., 1960. Ecological Studies of Marine Dermatitis-Producing Schistosome Larvae in Northern New England. Ecology. 41(4): 678-684.